When starting a GSA in a school, creating a positive relationship with the staff can make all the difference. This includes, but may not be limited to, the principal, the administrative supports, counselors, and GSA Teacher Liaison(s). Oftentimes the staff may need support, resources, education, and tools to help support their queer and trans students. It is worth discussing with the GSA Teacher Liaison, counselors, and principal if professional development is an option you can explore. The altView Foundation provides free PD options for teachers, admin, and school staff so if you feel your school could benefit, make the suggestion. We have been brought in to many schools specifically because students requested that training for their school’s staff. These clubs exist to create safe spaces for LGBTQ2S+ students. Do you need more resources? Do you have questions or concerns about starting or running your school’s GSA? 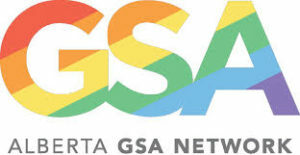 Reach us at info@altview.ca or check out the Alberta GSA Network’s resource page for students! !